Christmas, as most of us know, is an observance celebrating the birth of Jesus Christ. It was a joyous and very special event from which Christian religions grew. Wise men came from afar to give the baby gifts, and over time that spirit of giving gradually evolved from a religious observance to include the giving of gifts between family and friends that occurs in many countries across the globe. The celebration of Christmas is both a religious observance with annual programs in churches, and a wondrous display of lights and other decorations, benevolent giving, and good will. For centuries in the U.S. and elsewhere the religious and secular observances existed together in perfect harmony. Everyone enjoyed Christmas for what it meant to them and those that observed the birth of Jesus were also most often eagerly involved in the giving and receiving of gifts, putting up the tree and decorations, and the gathering of family. But as the evolution progressed, more and more Christmas observers honored the secular aspects of the day more than its religious origins, and a lot of folks who celebrate Christmas today are not Christians and do not celebrate Christ’s birth on December 25th. And now in this, the Age of Hypersensitivity, Christmas religious traditions have become unpopular with many people, and instead of quietly and politely leaving alone those who celebrate the religious meaning of the day to enjoy it as they have for so long, a faction now has determined that religious elements are offensive to them and demand their removal so they will not be made uncomfortable by their presence. This now widespread Christmas discomfort is not quite to the level of full-scale protests, but headed in that direction, particularly where public displays are concerned. Religious symbols are becoming, or perhaps are already, as unpopular as symbols of the Civil War, despite the historical value of those symbols of our past. For example, a 34-foot cross that was erected nearly 50 years ago at Pensacola, Florida’s Bayview Park has been ordered removed by a federal judge after 4 people started an action because they saw the cross when visiting the park and were unable to cope with that experience. A federal appeals court ordered another large cross to be removed last year. Constructed in 1925 at a busy intersection in Bladensburg, MD to memorialize soldiers who died in World War I, it was deemed offensive because some saw “religion” when driving through the intersection, rather than the purpose for which the monument was privately financed and constructed. A three-judge panel heard the case, which was decided by a two-to-one vote. Chief Judge Roger Gregory dissented, noting that the government is not required by the First Amendment to “purge from the public sphere any reference to religion.” This point no doubt will zoom past the complainers, who see only their personal displeasure and discomfort, which, of course, is more important than anything else. Where Christmas is concerned, the fact that without the growth of the observance of the birth of Jesus there would be no Christmas for people to enjoy with gifts, parties and decorations. Despite this, the offended masses think that reminders of Jesus’ birth, like nativity scenes with the baby, mother Mary and father Joseph, and the three wise men, send them into a panic, even as they open their presents under the tree. This penchant for manic criticism of Christmas has come to include complaining about seasonal songs. Some in their imagination see sexual impropriety in the decades-old Christmas song "Baby, It's Cold Outside" and think that because some relatively small number of people believe this, that the larger number who see it for what it is – a flirty song that they have liked all their lives – should be banned, denying pleasure to the many because of the objections of a few. “Rudolph The Red-Nosed Reindeer” is seen as encouraging bullying, rather than a song describing how Rudolph became the leader of Santa’s crew. Some people think that anything that makes them uncomfortable or that they don’t like for whatever reason should be immediately and permanently removed, without any consideration given to the thousands or millions who value and appreciate those things. And what on this Earth cannot be found offensive by some small group? However, all that has been said before must not be interpreted as a “Bah, humbug” recitation from Mr. Scrooge. 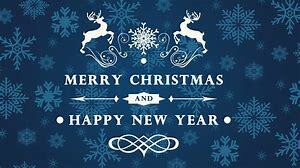 To those who celebrate Christmas: Merry Christmas! For those who do not: Happy Holidays! There are many legitimate reasons to question the warnings of climate doom, including the millennia long history of alternating periods of warming temperatures and ice ages, demonstrating that warming and cooling periods occur naturally. Not the least of those reasons is the problems with climate science itself, as well as its proponents. The issue, of course, is for scientists to accurately determine whether and how much human activities affect Earth’s atmosphere. The record on this is spotty, at best. The famous – or infamous – “Hockey Stick” graph that showed a sharp rise in temperatures over a rather short period of time was wrong: Bad science. But it nevertheless created a great deal of fear of a dangerously warming environment. In 2007, NASA released data showing that contrary to the opinion of the climate change faction that the warmest year on record was 1998, the warmest year was actually 1934, and the warmest four years were in the 1930s. NASA also released data in 2015 that challenged the 2013 conclusions of organizations including the Intergovernmental Panel on Climate Change (IPCC) that Antarctica was losing land ice. NASA’s data showed the opposite: that Antarctica was in fact gaining ice. In October, a scientific paper published in the journal “Nature” suggested ocean temperatures had risen roughly 60 percent higher than estimated. However, it was soon discovered that this frightening finding was due to a mathematical error. 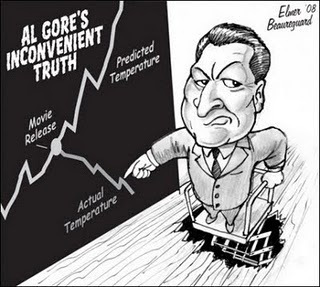 And, although he’s not a climate scientist, and doesn’t even play one on TV, we can’t overlook Al Gore’s “An Inconvenient Truth,” a movie that provided gross misinformation, based upon predictions of doom of the grave threat of global warming. In 2006, The Washington Poststated that Gore "believes humanity may have only 10 years left to save the planet from turning into a total frying pan." Well, 2019 is nearing, and things are roughly the same as they were at the time of Gore’s huge miscalculation. But no matter how far from reality his prognostications have been, his bank account swells pretty much in parallel with the growth of his carbon footprint. If carbon dioxide is so grave a problem, shouldn’t people like Gore show us the way to correcting that problem with their own behavior? While Gore has implemented green energy mechanisms in his own home, he buys “carbon credits” to cover for his other excesses. The day after Thanksgiving – Black Friday, interestingly enough – the 1,700-page National Climate Assessment went public, re-igniting fears of mass deaths, global food shortages, economic destruction, and national security risks resulting from climate change. However, in keeping with past climate doom reports, this one also has some problems, which Nicholas Loris of the Heritage Foundation has discussed. Among the weaknesses he found are exaggerated economic costs. One claim is that the worst climate scenario could cost the U.S. 10 percent of its gross domestic product by 2100, more than twice the percentage that was lost during the Great Recession. This is based on the assumption that the Earth’s temperature will increase by 15 degrees Fahrenheit, even higher than the worst-case scenario predicted by the IPCC. Is that realistic? Further, “It estimates nearly impossible levels of coal consumption, fails to take into account the massive increase in natural gas production from the shale revolution, and ignores technological innovations that continue to occur in nuclear and renewable technologies,” according to Loris. Even if climate data and the predictions resulting from it are accurate, how people react to this crisis is also relevant, and often problematic. See “Paris, December 2018,” where political climate change is actually occurring. The protests followed the imposition of a fuel tax announced by French President Emmanuel Macron to curb diesel usage and invest in greener technology. For French citizens living in rural areas, where driving is a big deal, the tax would be very painful. Another factor is the immediate pain of higher taxes today for results to be achieved years or decades in the future. And then there are the celebrity supporters of climate change measures who expect the rest of us to toe the line while they go along their merry way creating large carbon footprints. Furthermore, if climate change is actually being significantly affected by the activities of mankind, who are the biggest offenders? Well, you may be surprised to learn that the United States is neither a big offender, nor the least of those imposing carbon emission restrictions on its own citizens. So, if action really needs to be taken to prevent the destruction of mankind and the planet, China and India are the first two places that need to change their ways. And there are many others who have not joined in, while the U.S. heads the list in reducing carbon emissions. And, we cannot ignore that some of these climate scientists are activists, who have a political perspective that is fertilized by ample research dollars for the “correct” opinions on climate change. No one, or at least few of us, wants to pursue a path that will actually be harmful to us, or our environment. But we must have truthful, accurate information upon which to determine our course of action. 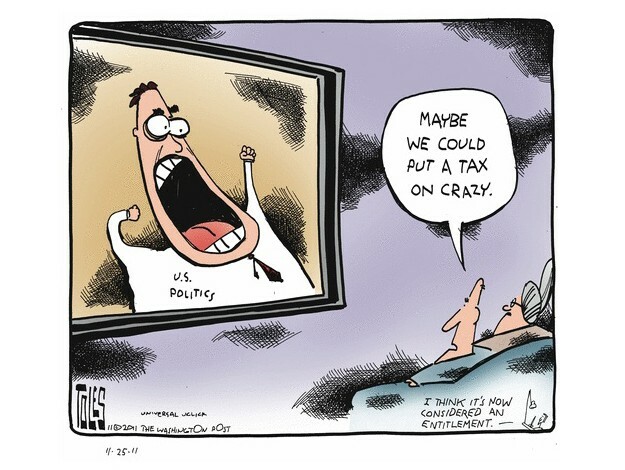 Politics is many things: maddening, confusing, dirty, crazy. A recent example is Arizona Republican Sen. Jeff Flake, a #NeverTrumper who did not seek reelection in November, and has decided that he will oppose every effort to confirm President Donald Trump’s judicial and other nominees during the remaining weeks of his term, unless there is a bill put forth to protect Special Counsel Robert Mueller from being fired. This position is odd for a couple of reasons. First, the reason for holding up a vote on a nominee or voting against one is that you believe the nominee is not fit for the position. Second, there is no indication that Trump, after one and one-half years of Mueller’s investigation, intends to fire him, even though he has the clear authority to do so if he chooses, for any reason, or for no reason. Such a bill raises constitutional questions, as well, since a law that effectively raises an administration employee, which Mueller is, above the authority of the president in effect creates a fourth branch of government. The Left loves her because she is young and appeals to their idea of shaking things up. The New York Times termed the young member of the Democratic Socialists of America a “28-year-old giant slayer” when she defeated 19-year incumbent Representative Joseph Crowley in the primary. The Right loves her because of her frequent gaffs; she seems to have little knowledge about the way the country works, among other things. She not long ago informed the country that America’s government has “three chambers of Congress.” Realizing the mistake, she corrected to “three chambers of government: the presidency, the Senate, and the House." After the 2016 election there was talk of doing away with the Electoral College because were it not for that system Hillary Clinton – the person in all of time who was supposed to win the presidency – would have become president, since she won the popular vote. Another Democrat wants not only to do away with the Electoral College, but the United States Senate, as well. Whether Dingell, with more than 59 years in Congress, either was never taught the reasons for the brilliant design of our government, or perhaps just wants to grease the wheels for Democrats to speed transforming the United States of America into another socialist catastrophe, a la Barack Obama, is open to debate. The Senate’s design of two from each state and the Electoral College as the deciding electoral factor were very deliberate mechanisms to insure that the states maintained some independence and that population centers like New York City and California would not run roughshod over the less populated areas of the country. They both are obstacles the Left would love to eliminate. A Facebook post laid bare the ignorance of at least some of the legions of Trump detractors. When Trump saluted the flag-draped coffin of former President George H.W. Bush, he was criticized for saluting without having served in the U.S. military. Apparently, no one – or at least not Trump – may salute without having earned the privilege. The post, however, showed photos of former president’s Bill Clinton and Barack Obama who also dared to salute without having served in the military, which, if memory serves, did not generate any criticisms. And we find performers in the anti-Trump media, sometimes known as the “fake news” media, who criticize Trump’s combative “take no prisoners” style as offensive, as well as nearly everything else he does, says or even is thought to be thinking. One such performer said during the funeral of George H.W. Bush that Trump’s style, in sharp contrast to Bush’s gentlemanly style, has debased the presidency. But history shows us that politics has always been a rough and tumble activity, and that Trump has much company in his caustic style. Thomas Jefferson and John Adams may have set the standard in 1796, and the 1828 contest between John Quincy Adams and Andrew Jackson has been called as the dirtiest in American history. So many of the crazy things that we witness today result from the tremendous amount of things that people don’t know: ignorance. And the poster child for that sad characteristic may be New York’s Representative-elect Ms. Ocasio-Cortez. Have you noticed how so many things that lay quietly beneath our awareness for so long have now risen to crisis proportions? And how sensitive people are today; how touchy; how judgmental? Things from the past that have no bearing on what’s going on today send people into spasms, demanding relief from these things that really have no actual effect on them. The American south in the Civil War, for example, drives people to want to destroy important vestiges of American history because of something that happened more than 150 years ago. One does not have to be a defender of slavery or the War Between the States to understand the importance of knowing and preserving history, even those parts of it that are not sources of pride, or may in fact be sources of shame. As wonderful a place as it is, America has not always been and is not now without problems. But why destroy reminders of what actually happened in the past instead of protecting them and using them to learn? This sensitivity for historical things has expanded to include things that once were mundane, everyday happenings. Some of them were indeed negative, but we had learned to deal with them, rise above them. 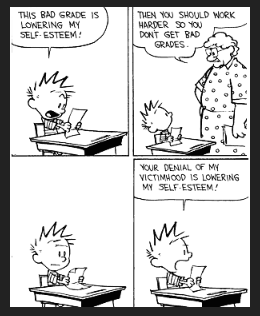 These things were not as serious as bullying, sexual harassment, or other such transgressions. They were minor annoyances: things didn’t go your way; you didn’t win the race; you heard things you disagreed with. These things did not send people hiding from reality. But recently there has been an epidemic of people reacting strongly to hurt feelings and feeling serious disappointment over little things. Unfortunately, this condition has found a sympathetic ear on many college campuses, where safe spaces are routine and trigger warnings are to be issued by instructors prior to the delivery of any classroom or other material that may upset someone. Perhaps this sort of thinking came initially from K-12 education where school administrators decided no student should ever be made to feel bad and therefore every participant in events receives a trophy or other reward just for being there. Indeed, some educators have decided that recognizing the two highest academically ranked graduating seniors, the valedictorian and salutatorian, also may cause hard feelings, and has been discontinued so that those that didn’t make the grade will not suffer humiliation. Now, many subscribe to the idea that whatever someone objects to must be recognized by everyone, even if most people disagree with doing so. This has subverted the idea of working to achieve success and of individual freedom. Robious Middle School in Midlothian, Virginia has decreed that because some members of the school choir have said they were uncomfortable singing a Christmas song that mentioned Jesus, any Christmas song that mentions him is now verboten. It doesn’t seem to matter to the powers that be that were it not for Jesus there would be no Christmas or Christmas songs, or that Christmas is a traditional holiday going back centuries. Apparently it did not occur to anyone that merely saying the word “Jesus” or singing it in a musical performance does not mean that a person does or should believe in Jesus, and therefore should not create trauma for anyone. Given the lack of common sense in this case, if the choir cannot sing “Away In A Manger” because the word Jesus is in the lyric, is the band then forbidden to play it? There are now signs of rebellion to these politically correct over-reactions and the growing degree of personal effrontery. Oklahoma Wesleyan University is a private evangelical Christian university in Bartlesville, OK. Its president, Dr. Everett Piper, describes an event he experienced in a letter to students. Piper, who has been recognized for his defense of intellectual freedom, went on to discuss how our culture has taught young people to be self-absorbed and narcissistic, and when their feelings are hurt, they see themselves as victims. * If you want the chaplain to tell you you’re a victim rather than tell you that you need virtue, this may not be the university you’re looking for. * At OKWU, we teach you to be selfless rather than self-centered. * Oklahoma Wesleyan is not a “safe place,” but rather, a place to learn. * This is a place where you will quickly learn that you need to grow up. The practice of coddling young people instead of helping them become mature adults is much more serious than many people understand. And the sooner it is reversed and kids have to confront unpleasant experiences and learn to deal with them, the better.